This junior T-Shirt is sweat absorbent and quick drying, the fabric wicks away moisture and keeps you dry during play. 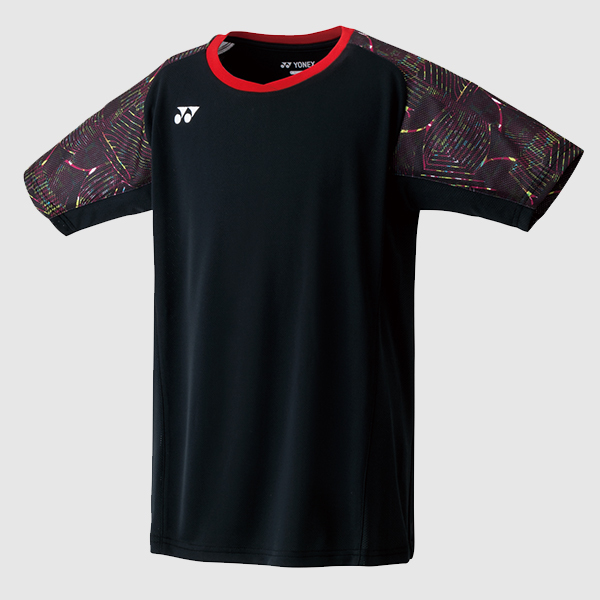 The lightweight T-Shirt is one of the Verycool Yonex items of clothing that absorbs heat and perspiration, providing a significant cooling affect during exercise, the Xylitol helps to lowers body heat by up to 3 degrees allowing the player to focus on the game and be comfortable at all times. Material 100% Polyester. Size guide J130/Junior Medium, J140/Junior Large, J150/Junior X Large. Do you own the Yonex Junior T-Shirt 10234J Black?